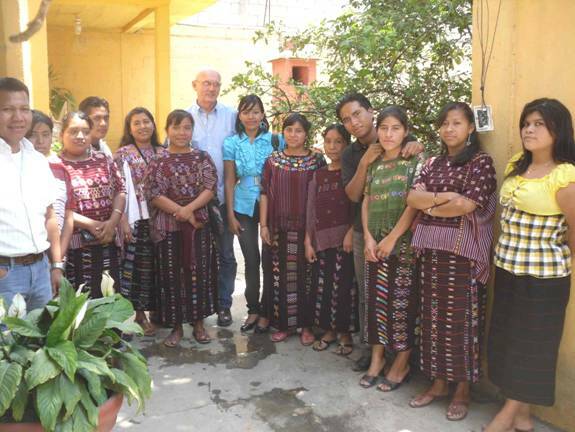 I am a happy to report a very successful day in Ixtahuacan, Huehuetenango with our colleague Ana Lopez. This is Mam country, on the western border of the Guatemala highlands. In fact this is the town where Nora England, one of our former board members, did her linguistic field work for her study of the Mam language. 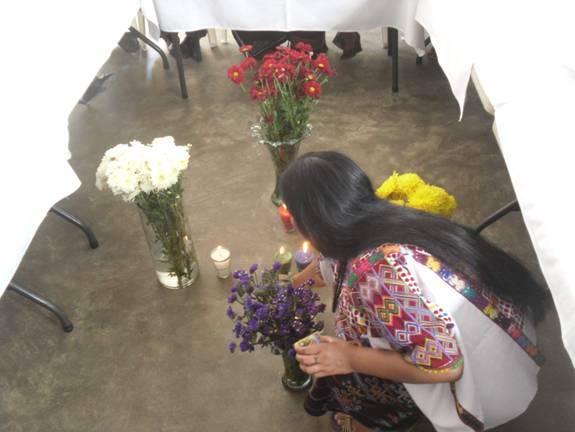 The attendees were teachers, mostly recent graduates from teaching school in the bilingual program of rural schools. 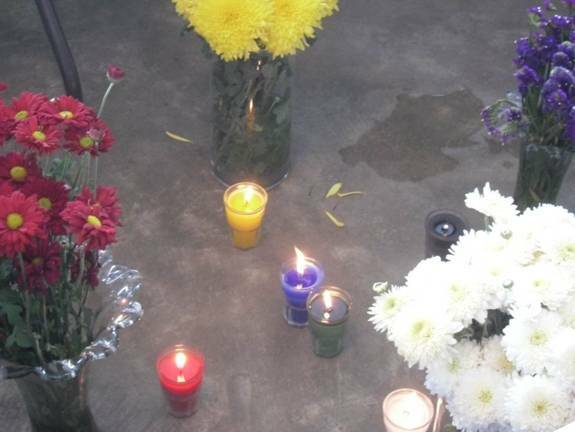 …and included lighting colored candles and activating the four world directions. Red-east, white-north, blue-west, and yellow-south. The candles remained lit for the entire four-hour session. 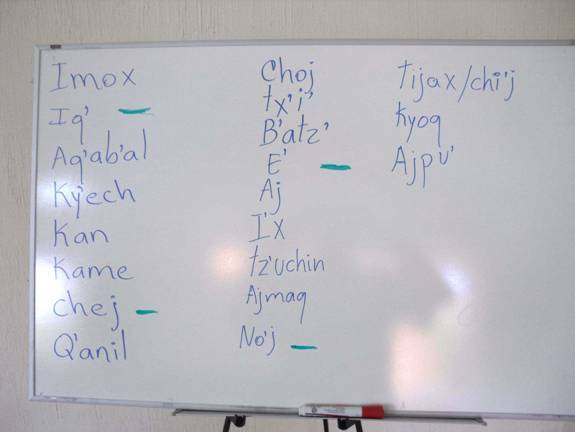 One of the highlights was when I was showing the 20 day names laid out in the Madrid Codex and I asked Ana to write the 20 days in Mam, then we read them together, in Yucatec and Mam and compared their meanings. We marked the yearbearers in green. The yearbearer for this year is 11 E’. Another highlight was comparing the layout of the candles and flowers in the center of the room with this famous page from the Madrid Codex, showing how time and the 260-day round have a spacial, directional aspect. Then of course there was the obligatory pose for pictures (our colleague Ana Lopez is on my right, in the back). But what was equally important for me as a representative of FoM was that after lunch, after most of the participants left, I sat down with Ana and a select group that she had hand-picked to have a work session on where do we go from here. I told them I was there to listen and learn how we can help. Based on my notes, here are the main points. 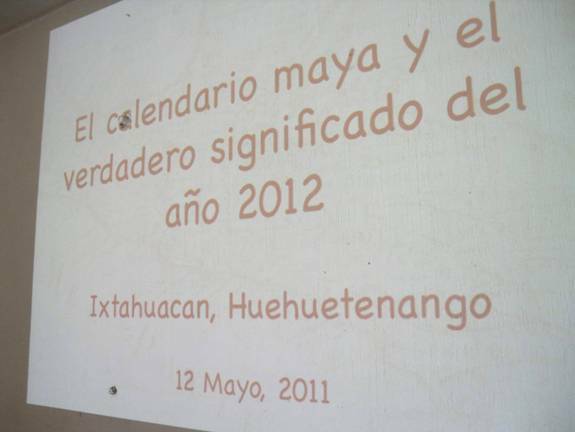 First of all, there is agreement that Maya young people have a strong desire to learn about the ancient Maya, and in particular the hieroglyphic writing. This is a given. So the best plan is to find out who are the natural leaders and focus on their development. Train the leaders so they can train others and begin spreading the knowledge. The answer is workshops, intensive extended workshops, not just one or two days here and there. And materials. 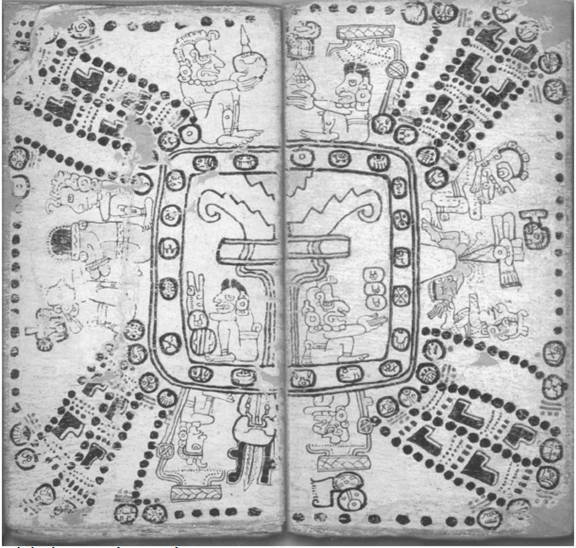 There are almost no books on Maya culture in the libraries and just about none in Spanish. So how to develop a system of workshops. 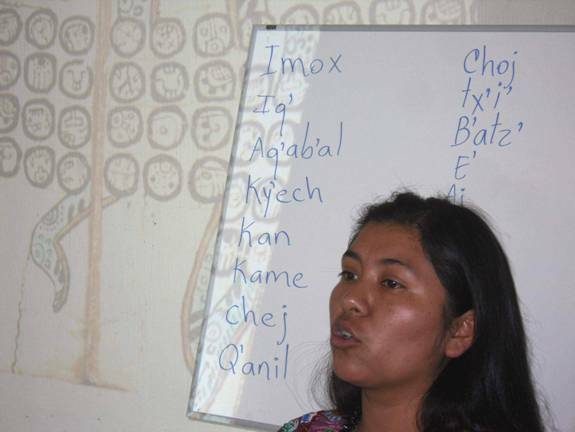 There are today a few Maya qualified to give glyph workshops in Guatemala, and we know who they are. The ones Ana named are all colleagues of FoM that we have supported over the years. The biggest problem is economic. People simply cannot afford to attend workshops outside their own communities. The simple costs of transportation and lodging are prohibitive. That’s where we come in with our grant program. 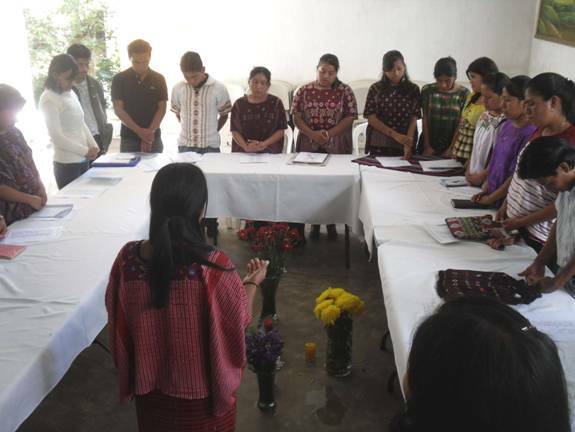 From here I am going on to other parts of Guatemala and then Belize and Mexico, reporting back to you, our readers and supporters, on the spreading enthusiasm and excitement of glyph and calendar workshops in the Mayan-speaking communities of Mesoamerica.